What are some of things to Consider When Interviewing a Swimming Pool Builder? Well, it's crucial to consider a few things and at the same time, ask some questions that can increase your chances of having a successful project. 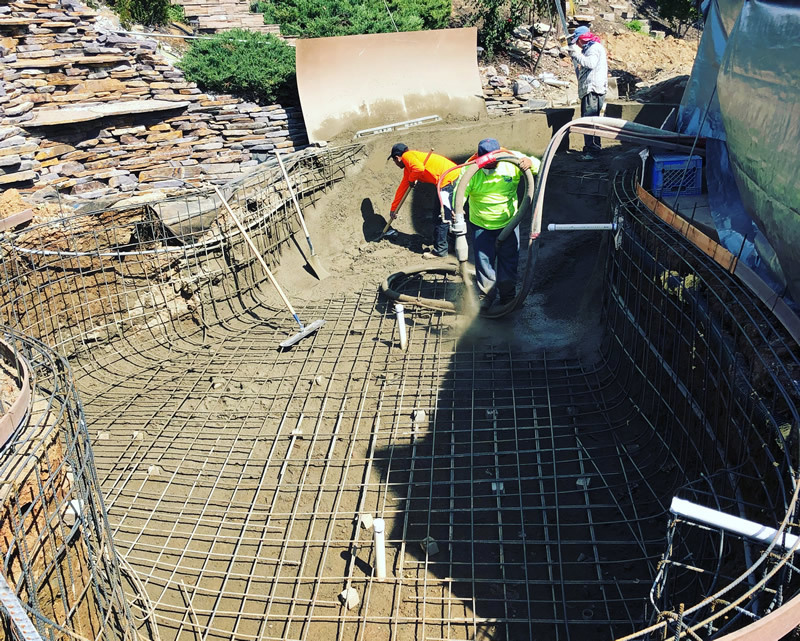 When looking for the best swimming pool builder in Sacramento, it's never enough to get going without paying the contractor a formal visit. In essence, you'll want to stop by at the office and take your time to inspect the building and surrounding areas. After taking a good look around the office, it's crucial to consider the friendliness of the staff and use your good judgment to make the right choice. Are you ready to talk to your pool designer? If yes, you won't be wrong to be mindful of his or her response. Essentially, you should work with someone who actually listens and of course, value your design suggestions. As we know, the pool design professional is very much aware of what it takes to build the perfect pool, but of course, your own preferences shouldn't be ignored. All in all, it's in your best interest to choose a professional contractor with an easygoing team — this is the surest way to get the super perfect pool of your dreams. So What About the Questions? For starters, it's crucial to learn more about the pool builder's reputation. Of course, you wouldn't want to start spending money without getting a clearer picture of the company's previous works. As you probably guessed, the reputation of a swimming pool contractor can be in the form of customer reviews, testimonials, and even accreditations. May I Know Your Suppliers? At this point, you're probably aware that swimming pool builders don't work alone — they collaborate with other companies to make your project a success. With this in mind, you won't be wrong to know the pool builder's suppliers and of course, decide if they're good enough for you. How about an estimate for the project? Finally, it's super important to request for an estimate for the entire project. At this point, the best and most trustworthy company will provide you with not just any estimate, but rather a detailed one that covers just about everything you need to know. So there you have it! These are just about everything you need to know about choosing the right contractor and kick-starting your project. The good news is, Sac Pool Pros are more than capable of making it a success. Don't hesitate to reach out to us if you're set to kick-start your journey towards the backyard pool of your dreams.